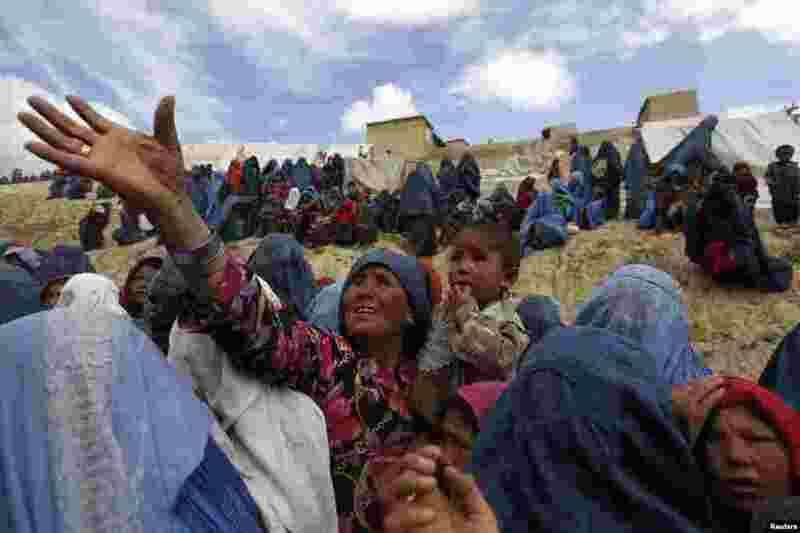 1 Displaced Afghans wait for aid near the site of a landslide at the Argo district in Badakhshan province. 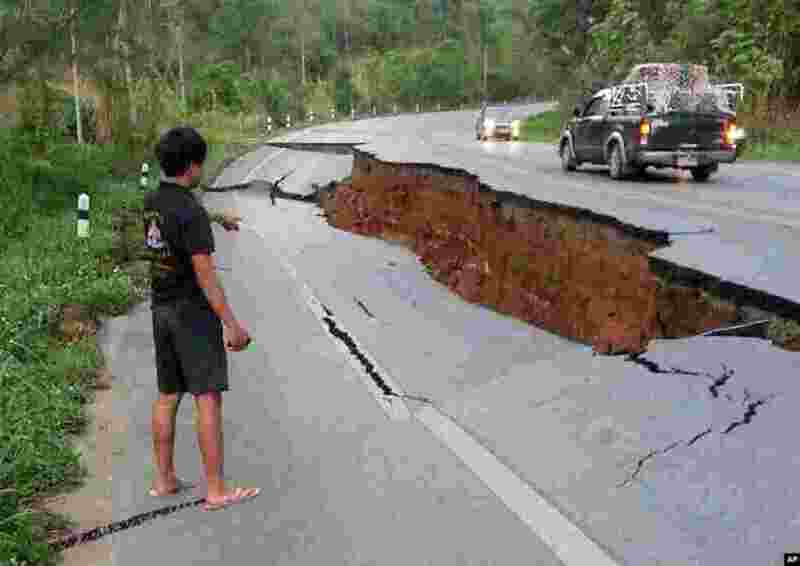 2 A man points at a big crack in a damaged road following a strong earthquake in the Phan district of Chiang Rai province, northern Thailand. 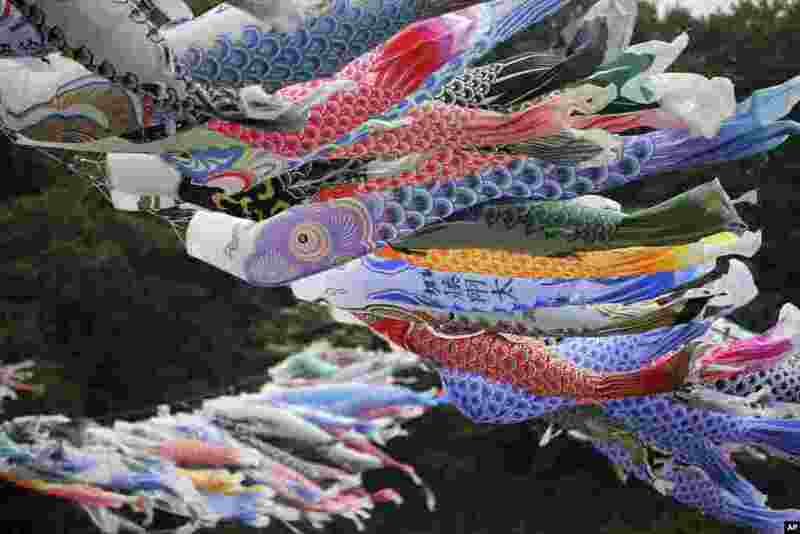 3 3Colorful carp streamers flutter in the air over the Sagami River in Sagamihara, west of Tokyo to mark Children's Day. It is a tradition in Japan to fly carp streamers on Children's Day. 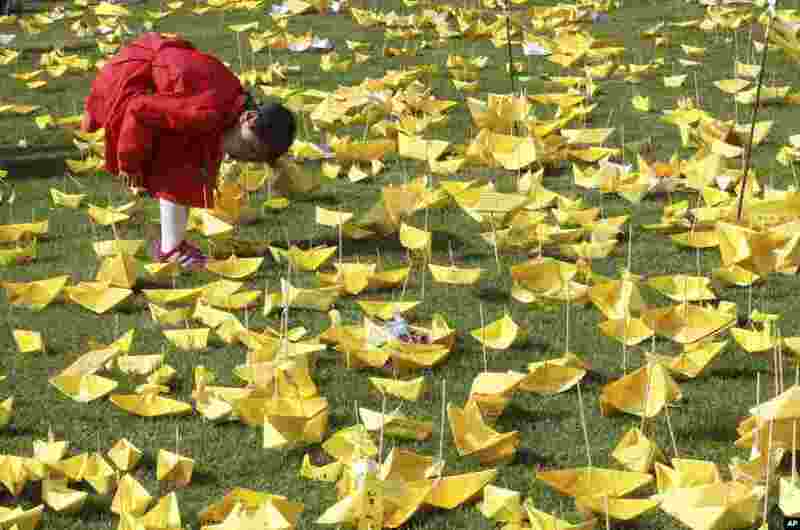 4 A girl reads massages written on paper ships for the victims of the sunken ferry Sewol at a group memorial altar in Seoul, South Korea.